Erin (Bates) Paine, who suffered multiple miscarriages before being diagnosed with a blood clotting disorder, is pregnant and due on June 8th. She is almost 22 weeks along and is thrilled to be expecting. 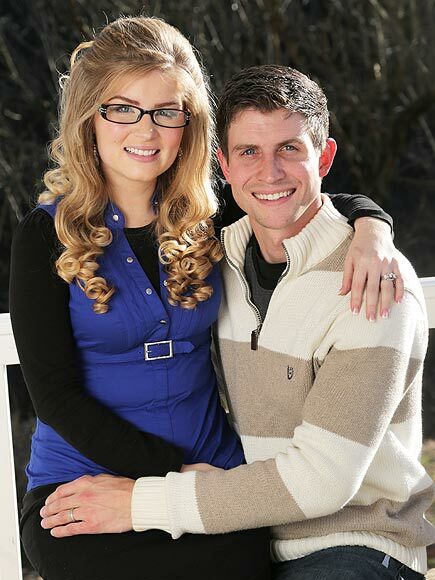 Erin and Chad Paine have yet to reveal their baby's gender, but they told PEOPLE that they have chosen names. "It was one of the most fun things for me and Chad," said the mom-to-be. "We used to go into the name books and everything, which is kind of fun. It's a sweet time together." Even through the heartbreak of her miscarriages, Erin continued to trust in God and lean on her husband and family for strength. Erin's pregnancy has been tough. She usually spends her days teaching piano lessons but had to put that on hold during the first few months of her pregnancy, as she suffered severe morning sickness. During that time, Chad, an office manager at Noble Metals, Inc., graciously assumed all the household chores at the couple's cottage in Clinton, Tennessee. When asked if she and Chad, who grew up with nine siblings, plan to have a large family, Erin replied that, due to her at-risk pregnancy, they are taking it one day at a time. Erin is thankful for the conservative way her parents raised her, which was focused around making memories as a family and reading books, rather than watching TV. Chad's upbringing was similar. Erin admitted that she and Chad are not carbon copies of their parents and that they will cut their own trail, but she also said they do not plan to deviate from their parents' ways too much. 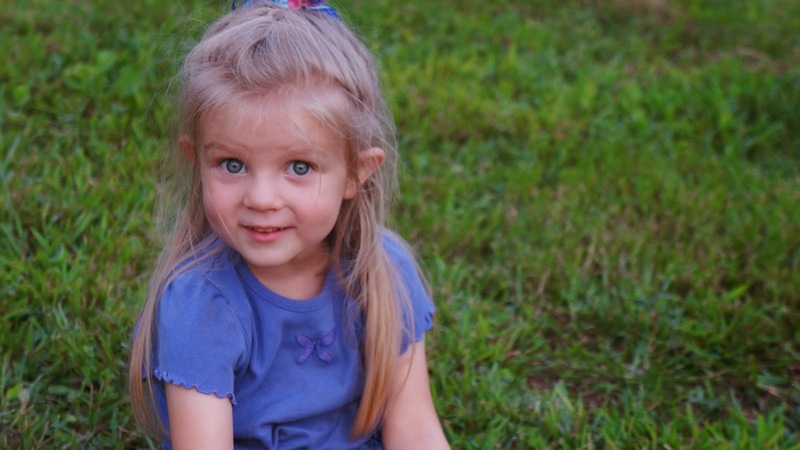 "I'm sure we're not going to be identical or have the exact same standards and stuff like that, but I think that my parents did an amazing job and I hope we can be half as good as parents as they were," said Erin. The Bates family is preparing to plant a winter vegetable garden. They have had gardens in the past, but it is been several years. "Eating healthy is a good goal," says Kelly. "That's what we're aiming for, but we fall short a lot of times, probably just because of habit and what's convenient, what's cheap." Gil and Kelly disagree about where the garden should sit. Gil thinks the valley is the best place. "I'll tell you what. Water rolls downhill," says the dad of 19. Kelly points to an unused piece of land at a higher elevation. Her rationale? "Water comes from the sky...everywhere." Kelly and her supporters decide to give in "with a good attitude," as the mom of 19 says. Kelly asks Gil to consider building a playground on the plot of land she had initially chosen for the garden. "When there's a difference of opinion, we try to listen to each person's opinion," says Kelly. "But it comes to a point when you can see from their expressions, their tones, their attitudes that...this has gone a little bit too far. We're not just sharing opinions at this point. There are some hard feelings that are forming." The whole family helps Gil plow the land and prepare the garden for planting. Erin's husband, Chad, who grew up on a farm, comes over to help. Lawson drives three hours to Nashville to record a new song, which was released yesterday. He took up the hobby of writing music a few years ago. Some of his songs are about his experiences, and some are stories about other people. "I am very excited but also very nervous," says Lawson. The 22-year-old has managed a landscaping business for several years and still keeps that as a day job, but he is currently placing more emphasis on building his music career. When he arrives in Nashville, Lawson, who has never had vocal training, meets with performer and voice coach Joyce Martin. Lawson records at the studio belonging to legendary bluegrass musician Ricky Skaggs. His new song, called "Problems," is a duet with Rachel Leftwich, Rick Skaggs' niece. While visiting Music City, Lawson also has the privilege of discussing his career goals with Ed Leonard, president of Daywind Records. Upon returning home, Lawson receives accolades from his family when he plays the recording of his song. Here is Kelly's take on musical training: "Gil and I never had a musical background and can't even read a note of music, but we felt like it was really important for all of the children to have music lessons just so we could use it for ministry." Lawson, Nathan, and Trace are asked who they think will be the next Bates to get hitched. "It will probably be Lawson, or Tori," says Nathan. "Them girls like to jump ship early," adds Lawson. Kelly says courtship is a popular topic of conversation in the Bates family, as the kids like to tease each other about potential mates, or lack thereof, and try to match-make. Lawson says his parents don't force their kids to pursue courtship over careers, or vice versa. Instead, they tell their children to make their own choices, and they promise to be there to support, encourage, and advise them. 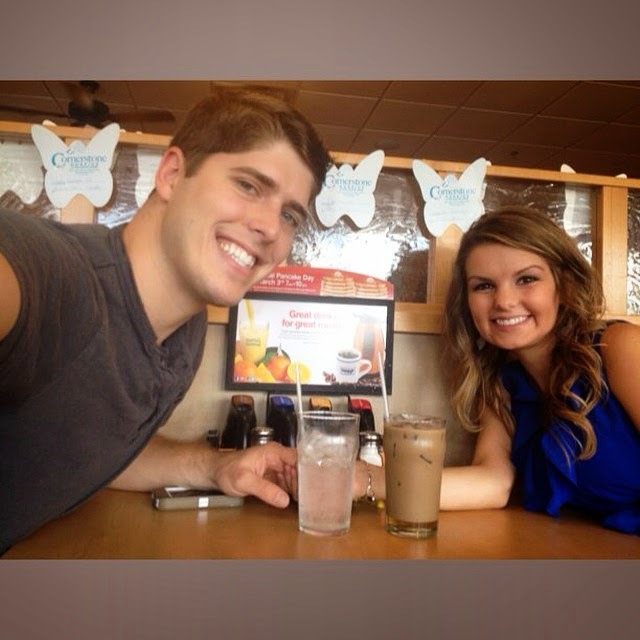 Tune in to UP tonight at 9pm ET/8pm CT for a new episode of Bringing Up Bates, "Nashville Son." For those who can't tune in live, come back to the blog immediately after the show ends for a written recap. Erin (Bates) Paine and Gil and Kelly Bates have another Name That Bates video to share! This year, Gil and Kelly Bates will add two more grandchildren to their clan. Erin (Bates) and Chad Paine are expecting! Details coming soon. 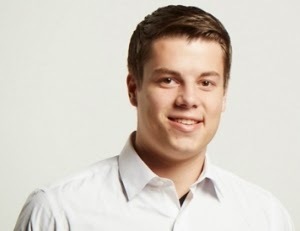 Tonight on Bringing Up Bates, Erin and Chad visit their doctor hoping for good news. What do you think he will tell them? Tune in to UP at 9pm ET/8pm CT to find out! The entire Bates clan is looking forward to welcoming the second Bates grandchild into their rapidly growing family on April 10th. 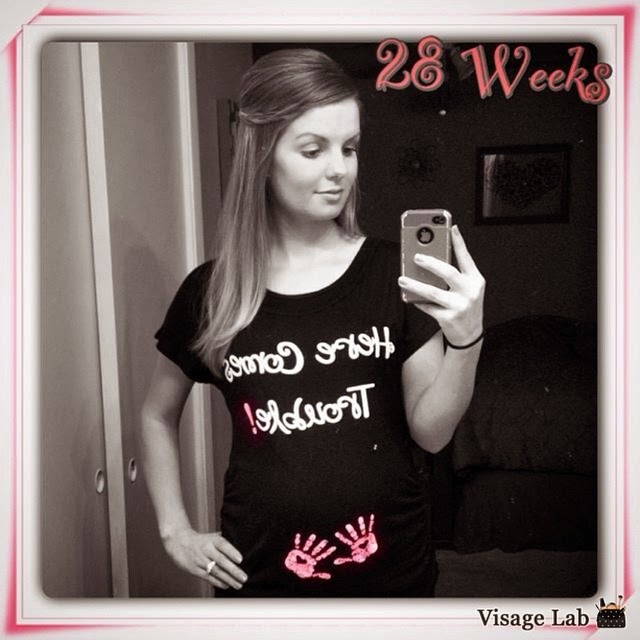 Alyssa (Bates) Webster is 28 weeks and 2 days pregnant. She and husband John are thrilled to announce the gender and name of their future little one. It's a girl, and her name will be Allie Jane Webster. The couple is register at Target and Babies "R" Us. There's no doubt that Mama Jane, Alyssa's paternal grandmother, is thrilled about the name of her future great-grandchild! Join Gil and Kelly Bates for another round of Name That Bates, this time hosted by 19-year-old Tori. Find out which kid is most likely to have 19 children of his or her own, and hear Tori's reaction to the idea of all her siblings having 19 kids. Zach and Lawson take Tori and Carlin out for a driving lesson. "I'm scared to ride with them, so I put it off on Zach," admits Kelly. There is a lot of yelling and teasing as the girls cruise through the hills of Eastern Tennessee, but it's all in fun. "Carlin, she's slightly over confident," says Lawson. "The confidence is way ahead of the skill right now." Tori is more cautious. Both girls passed their driving tests. "This family lacks good drivers," says Lawson. The Bates (minus a few of the older kids) prepare for a camping trip with other families from their church. Kelly gets all the kids involved in packing. It takes longer than it would have if she and the older kids had done everything, but the goal is to teach the younger kids a skill, not to complete the task as quickly as possible. Kelly encourages the kids to keep all the camping supplies organized. "Mommy gets stressed without organization," she says. Just as everyone is about to leave for the trip, Jeb puts a rock up his nose. Kelly sits him down and tells him to blow out. She is then able to use her finger to retrieve the rock. "I don't know why kids put things in their noses," says Gil. "But for some reason, it's a favorite pastime." Tori is allowed to drive the van on the camping trip, but as she is pulling out of the driveway, she hits the trailer. Lawson says the family has not let her live it down. "We're tough on cars," admits Zach. When the Bates arrive at the campsite, they realize they left a few tents behind, so they have to get creative with sleeping arrangements. All the families gather around the campfire, and Gil, who is a phenomenal artist, does a chalk drawing. "Chalk art is a great way to communicate a message," he says. The Bates are short of blankets and don't end up sleeping well, but they still have smiles on their faces the next morning. "Dad snored all night," says Carlin. "He snores like a frog," adds Tori. The crew piles into canoes and goes for a trip down the river. Carlin volunteers to watch eight little ones so her mom can go canoeing. "I'm not that intimidated because there's only eight," says Carlin, who regularly watches 25 children in the church nursery with only one other person. "Carlin has just a love for children and an enthusiasm to make things fun," says Gil. "It was scarier than I pictured," Kelly says of canoeing. The canoe that she is in with Gil and Judson ends up flipping over. At lunchtime, the crew realizes that they don't have charcoal, so they resort to using wood, which is a much slower process. "My dad is not the best cook," says Katie, as she chows down on a burnt burger. As the Bates pack up and leave the campsite, everyone talks about how much they enjoyed the experience. "It's always a lot of work, but we do it for the kids and for the memories," says Kelly. 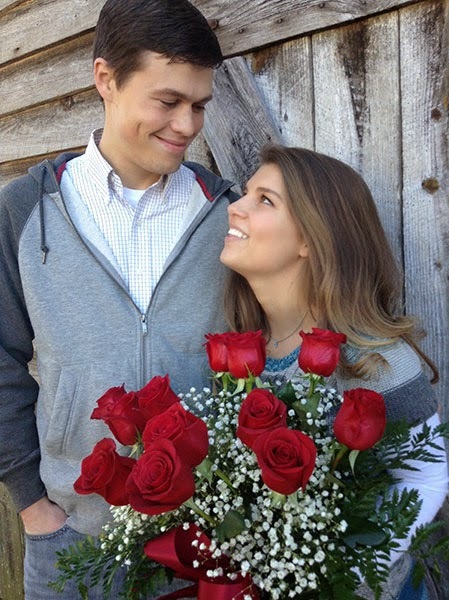 A new episode of Bringing Up Bates airs tonight! Lawson Bates, 22, says his parents have equipped their children to move out of the house and start families of their own. "I think my brother and sisters who have already gotten married and moved out have been doing a really great job," said Lawson. "They don’t hear me say that often, so I hope they’re reading this! Won’t happen again soon, ha!" When it comes to courtship, Gil and Kelly Bates set a few basic parameters and then encourage their children to come up with other boundaries. 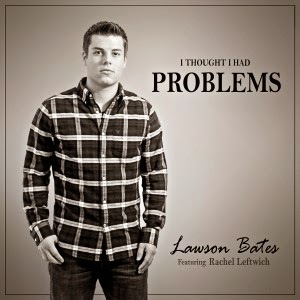 "I’m sure I will face new and difficult challenges when I am in a courtship, but until then, I’m happy to say that I haven’t broken (too many) rules," says Lawson. "Mom and Dad, hope you’re reading this too!" 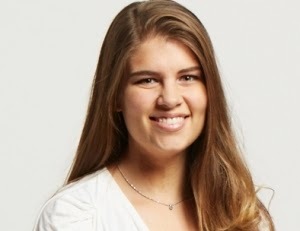 Erin (Bates) Paine, 23, admits that she has been known to give her younger siblings Popsicles before bed when they come to visit. "I just can’t get used to a quiet house, so ever since I got married and moved out, I’ve made it a point to have my younger siblings over," says the third oldest Bates child. Erin also reveals that, with 18 siblings, she never expected to have a difficult time having children. She is thankful for the support of her husband, Chad. "God knew what He was doing when he brought us together," says Erin. "While we don’t know what our future holds, we know who holds it!" 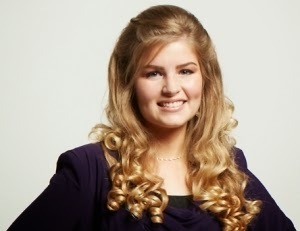 Alyssa (Bates) Webster, 20, shares that it was difficult to adjust to married life in Florida. "My family’s house is extremely loud and crazy, and in Florida it’s far quieter, especially since John is gone at work for most of the day," she says. Alyssa admits it is almost impossible for her to cook for only two people, as she was used to cooking for 21 when she lived at home. Gil and Kelly Bates understand that as their kids grow older, they are going to cut their own trails. "I think all of our children are going to make choices that maybe we didn't make," says Kelly. "But I think the core values, in spite of the little differences, are the same." For example, Zach and Whitney say they plan to let Bradley watch Pooh Bear, even though Zach's parents hardly allow their kids to watch any TV. Erin, who lives only a few miles away from her family, has Callie, Ellie, and Warden over for a sleepover. "It gets lonely," admits Erin. "I'm not used to being by myself, and I really don't like it." Chad returns home from work, and he and Erin share a hug and a kiss. Chad joins Erin and the kids in the kitchen as they finish making dinner. As part of the meal, Erin serves steamed broccoli, but her siblings aren't thrilled about trying it. Now that she is married, Erin has adopted a healthier lifestyle. "I have to be honest," she says. "My family tries to eat healthy." But with 19 kids, it isn't easy, especially since Kelly grew up on TV dinners. 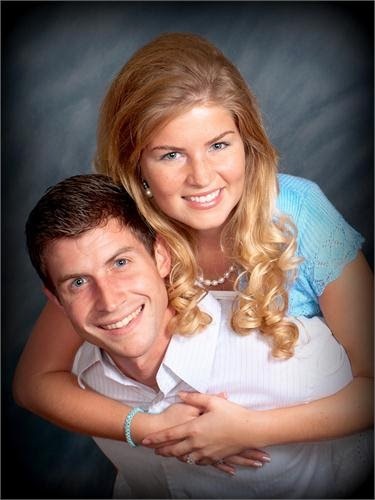 In Florida, Alyssa and John also live a quiet life as newlyweds. Alyssa misses her family but is able to chat with them often. "It is terribly hard having Alyssa in Florida because I always want to go see her," says Gil. Back at the Bates house, Michaella packs for a trip to see her boyfriend, Brandon, who is away at Bible college in Texas. Gil prays with his daughter before taking her to the airport. Michaella is chaperoned by her friend, Amber. She and Brandon share a few heartfelt hugs when Michaella arrives. Brandon is thrilled to see his girlfriend. He had no idea she was coming to visit. Gil and Kelly discuss courtship standards. "We as parents set general parameters," says Kelly. They instruct their children to keep Christ at the center of their relationships and to remain pure. They would like each of their kids to save their first kiss for their wedding because they know that kissing in private can lead to other temptations. Gil and Kelly admit that they did not save their first kiss for their wedding. Zach and Whitney intended to but ended up kissing beforehand. They say their parents were very understanding when they admitted what they had done. 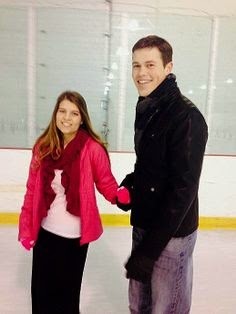 Zach and Whitney encourage their siblings not to follow in their footsteps. Michaella and Brandon plan to save their first kiss for their wedding, but they exchange frontal hugs when they greet each other and say goodbye. Zach accompanies Whitney to her last doctor appointment before Bradley's birth. The couple is able to see a clear picture of Bradley's face on the ultrasound. Erin and Chad visit a doctor to attempt to find out why they have not been able to sustain a pregnancy. He runs tests and instructs Erin to take an aspirin each day, as well as extra folic acid. Erin and Chad are thrilled to have a remedy to try, and they both give the doctor a hug before leaving. "...We are very hopeful for the future," says Chad. 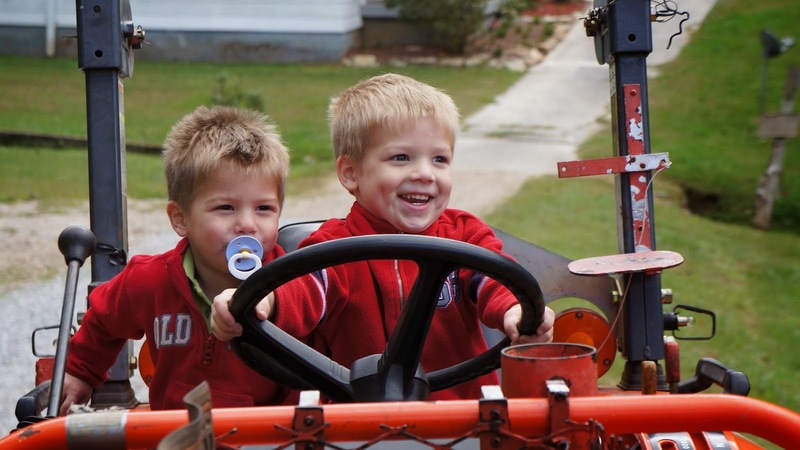 Tune in to UP TV tonight at 9pm ET/8pm CT for a new episode of Bringing Up Bates. UP will also replay last week's premiere episode, "Meet the Bates" at 8pm ET and 9:30pm ET (more listings on our Showtimes page). Watch this sneak peak video to see what's in store for Gil and Kelly Bates and their 19 children on this week's new episode of Bringing Up Bates. Tune in to UP on Thursday at 9pm ET/8pm CT. We will post a written recap after the show. 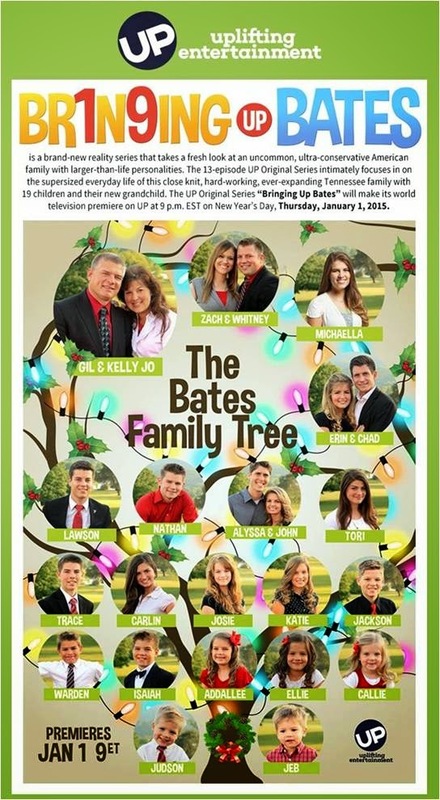 Check out the Bates family tree. 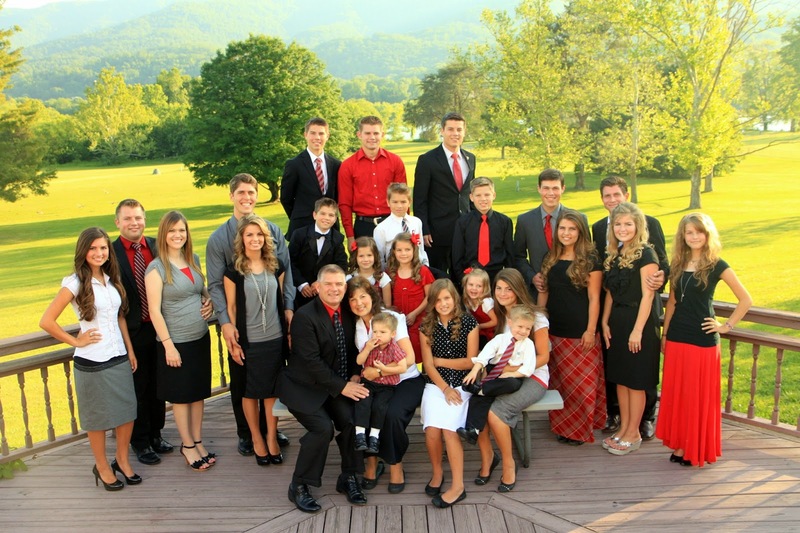 Gil and Kelly Bates have 19 children. 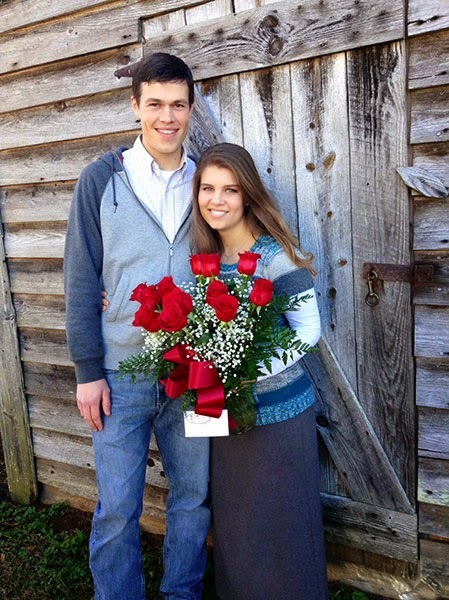 Three are married (Zach, Erin, and Alyssa), and another (Michaella) is in a courtship. 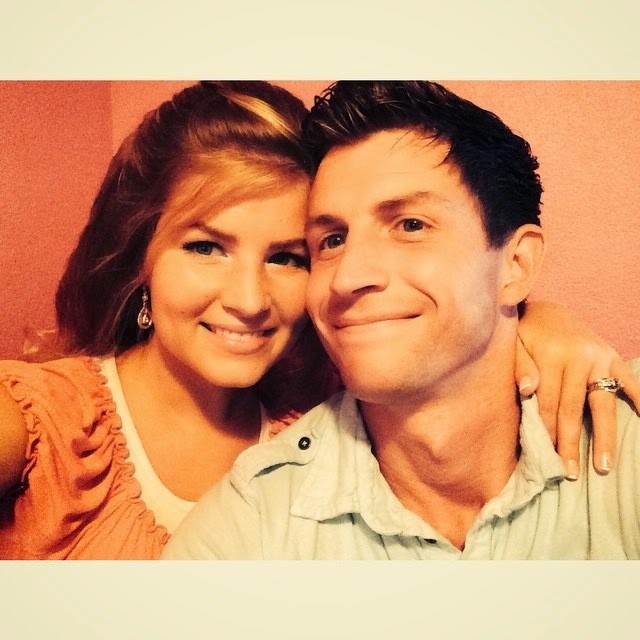 Zach and Whitney Bates have one child (Bradley Gilvin Bates, born October 29th, 2014), and Alyssa Bates Webster is due with her first child in April 2015. 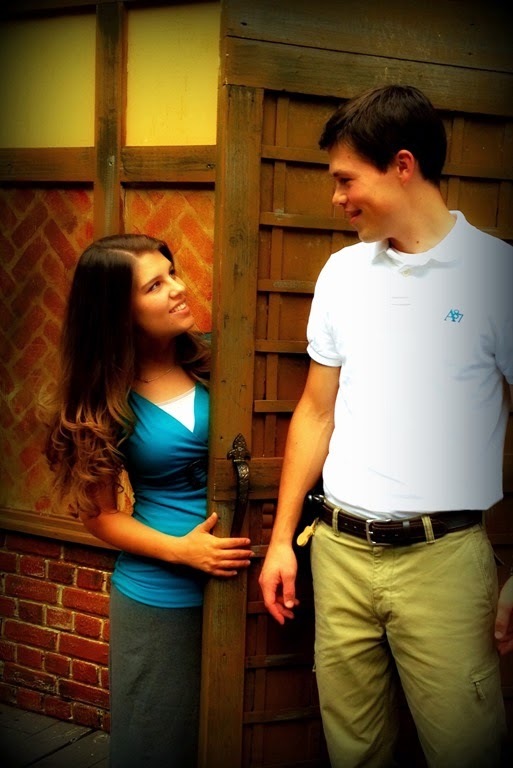 Watch Bringing Up Bates every Thursday evening at 9pm ET/8pm CT.
Gil and Kelly Bates, parents of 19 kids, got pregnant with Zach three months after their wedding. 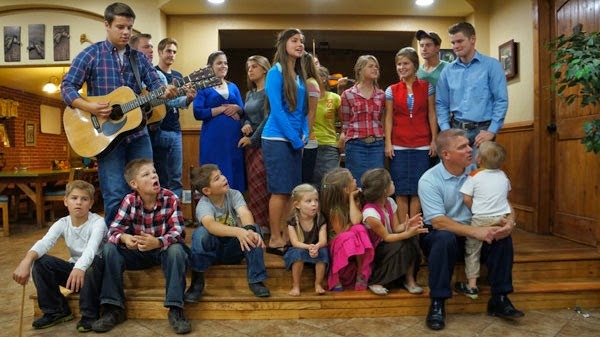 Like the Duggars, the couple has decided to leave the size of their family up to God. 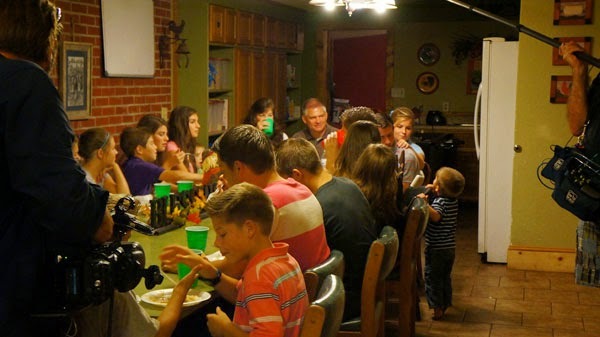 Even though they have a large family, the Bates insist that each of their kids has a unique personality, and they can tell you what makes each of them unique. Zach is the teacher/researcher. Michaella has a heart of gold. Erin is the organizer. Lawson is the family police officer. Nathan is everyone's best friend. Alyssa gets things done. Tori is a ball of energy and the family cook. Trace has a highly competitive nature. Carlin is high-energy and very expressive. Josie is quiet (when you first meet her) and caring. Katie is spunky. Jackson is always growing and thinking. Warden is always moving. Isaiah has a tender heart. Addallee thinks of others before herself. Ellie is miss smiley. Callie thinks she is the boss of the family and is little miss sassy. 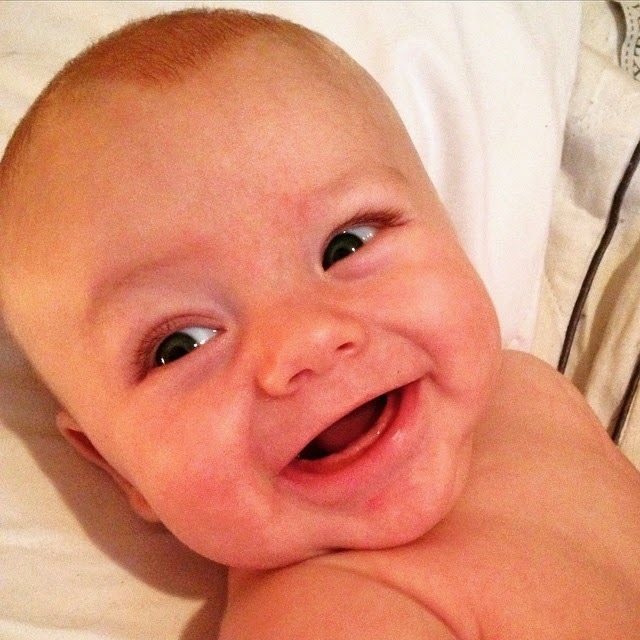 Judson is a teddy bear and loves to cuddle. Jeb is full blast, 90 mph and can tackle his older brother Judson. How does Gil afford 19 children? He owns a tree-trimming service, a dangerous but well-paying job. Gil says his daughters keep telling him to get a safer job. Gil’s older sons (Nathan, Lawson, and Trace) often help him with tree jobs. The Bates are planning a big family supper. Tori, the family cook, shares her view on meal preparations: "Here’s what I say: If you want to complain about it, get in here and cook it yourself. Otherwise, you shut your mouth and sit down and eat it." Everyone but Alyssa Bates Webster and her husband, John, come over for the meal. Alyssa and John married in May and live in Florida. To make the distance easier, Kelly and the girls FaceTime with Alyssa frequently. Alyssa is the only one of the three married Bates children who lives far away. Life with 19 kids can be crazy, but Kelly, who is often referred to as the "chaos manager," loves her life. "If we wanted a clean house and no work and no effort, then we would have no children, but we would miss out on all the fun," says the mom of 19. Kelly sits down with Gil to discuss a budget for the baby shower they are throwing for Zach and Whitney and the baby boy they are expecting, whose name will be Bradley. The Bates' goal is to pull off a beautiful party while keeping the costs down. Erin shares the heartbreak she has gone through with her miscarriage. 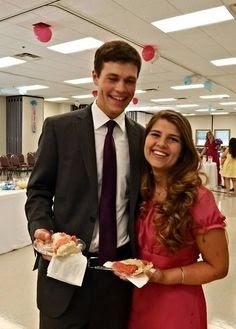 She and Chad found out they were expecting three months after their wedding, and their due date was a week and a half before Zach and Whitney's. 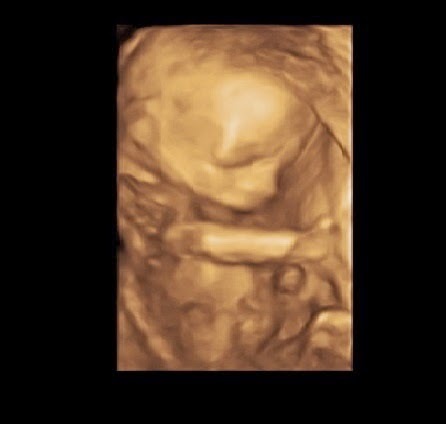 They were devastated to find out at the first ultrasound appointment that Erin had miscarried. "The hardest thing was to see how much it hurt [Erin]," says Chad. 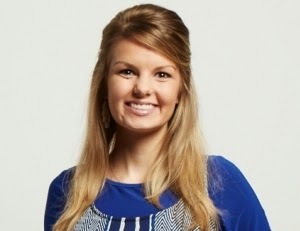 Although Erin often gets emotional when her family members talk about Zach and Whitney's baby, she has decided to be involved in all the preparations. "It’s not about me," says Erin. "It’s really about friendship…making the other person feel special and important. And I want Whitney to feel special and important because I really am happy for her." Kelly and the older girls get together to address envelopes for Zach and Whitney’s baby shower. Whitney, who comes over to the Bates house often to help out Kelly, joins her in-laws. Erin and Carlin head to the store to pick up supplies for the shower. Zach and Whitney begin renovations on their baby’s room. Gil comes over to lend a hand. While they work, Gil shares parenting wisdom with his eldest son: "Bradley and Whitney are more important than anything else you are trying to do." One of Gil's favorite mantras is that "people are more important than projects." While setting up for the baby shower, Kelly is informed via phone call that 17-year-old Trace has been in a car wreck. "I know that the family has a tendency to minimize things when they tell it to me because I panic," says Kelly. Trace is shaken up by the accident, but the rest of the family is thankful to find out that he has escaped uninjured. He had been driving too fast and had slid off the road. Everyone heads to the baby shower. Alyssa and John come up from Florida for the first time since their wedding. The highlight of the shower is having all the married couples, each person with one hand tied behind his or her back, try to put a cloth diaper on a baby doll. Gil and Kelly are pros, but Zach and Whitney have a harder time figuring it out. After the shower, Alyssa and John go back to the house with the rest of the family to make a big announcement. Alyssa is wearing a shirt that says "bun in the oven." Everyone is thrilled to find out that there is another Bates grandchild on the way! Alyssa is due in April. "We’re the last of a dying breed…single guys," jokes Lawson, while sitting with Nathan and Trace.